Today I am collaborating with the adorable Emily from The Sweetest Thing. I found her blog through Instagram and have read it everyday since. If you haven't checked out her blog already you must! Emily is such an inspiration with her amazing style! Oh and her hair is to die for!! We both styled our hunters with gingham, which was not planned!! 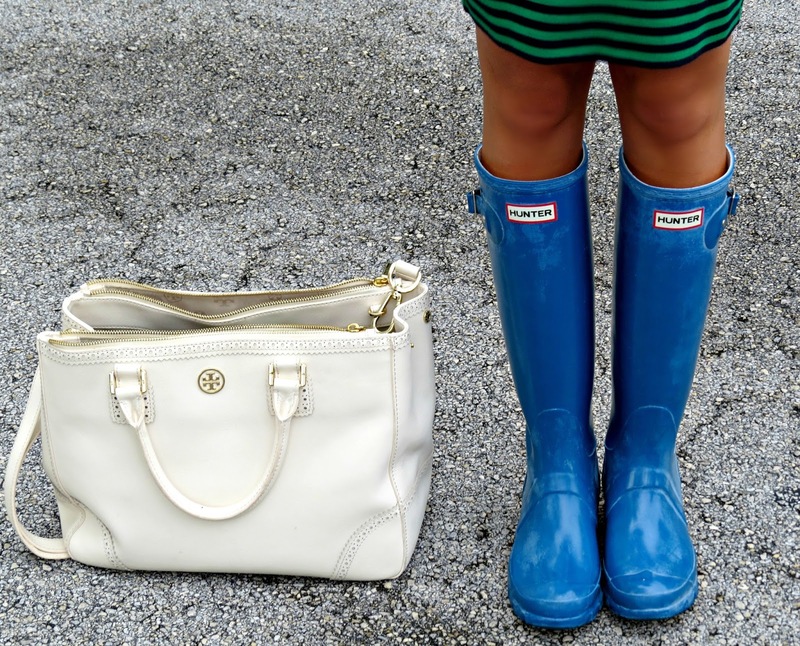 Today we wanted to show you 2 different ways to look cute on those ugly rainy days. Here in Florida in the summer time it rains almost everyday! So my Hunters get a lot of use! I am always trying to find ways to look cute even in the rain! Thank God for my rain boots!! Scroll down for your chance to win 1 of 2 $250 dollar visa gift card! Love the print mixing, very cute. I love how you mixed so many patterns...it definitely works! Gorgeous gorgeous! Love the whole outfit! You look AMAZING in those rain boots!! Love love love your look!! Such a fun color of Hunters! Love your color combo. Gorgeous! I love both looks! The colors/patterns you chose are so much fun Jade. Thanks for the amazing giveaway! Love how you paired the gingham with the anchor tee! So cute. Love your casual preppy style. Cute skirt. Love your hair. I am dying over this look! Pattern mixing is my favorite and you do it so effortlessly! I'm thinking I need to get some hunters for this winter! How cute! 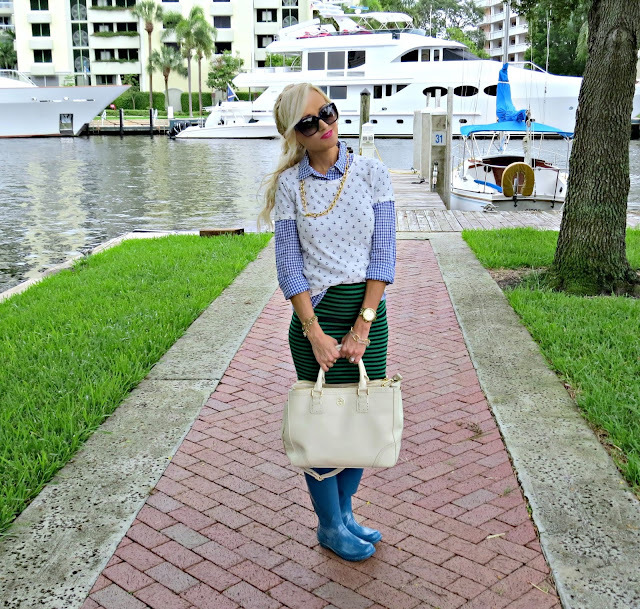 I love your nautical rainy day look! I have red Hunters and they are pretty much my favorite thing ever! Hope you had a great weekend. This is one of my favorite blogger collabs! Adore both of you and your styles. You seriously both look so adorable! Not even kidding! 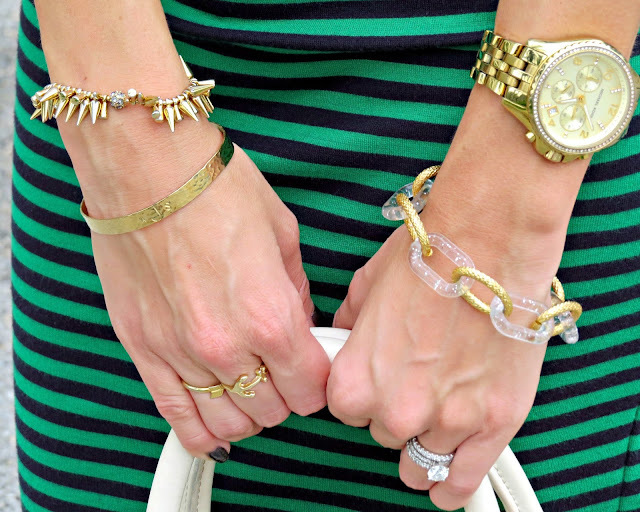 i love the combo of your bracelets! Cute! 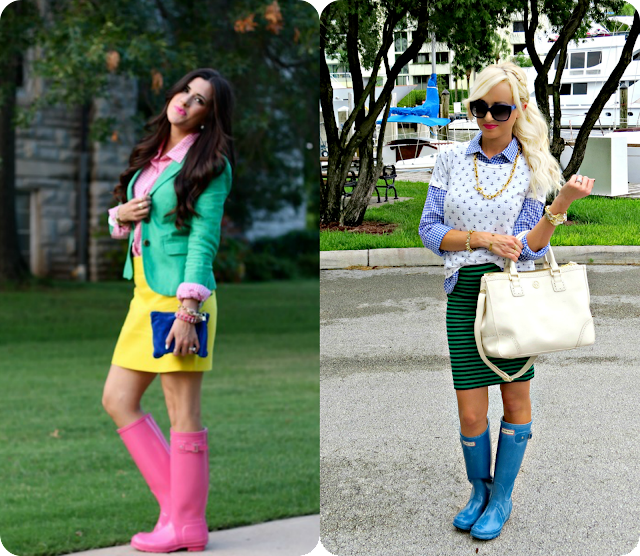 Who would've thought Hunter boots could be so adorable :) Loving the outrageous mix of prints too! !